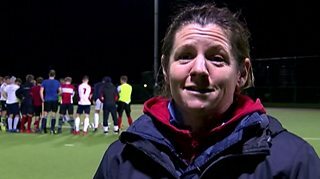 Wendy Russell, who set up the first deaf hockey session in the country at Brighton & Hove Hockey Club, has been named BBC Get Inspired Unsung Hero for the South East. "When I set up this project there wasn't any sign language for hockey," she explains. "So in order to communicate with them I created about 40 new sign language signs - that are now accessible across the whole of the country." Visit our special guides for how to get into hockey or volunteering.